Whether you’re looking to upgrade your laptop, buy productivity gadgets, enhance your sound system, or just need a few accessories, Newegg’s got weekly deals for just about everyone. We’ve compiled a list of some of the best deals this week; and we’ll keep an eye out for even more, so check back often! As always, deals posts like these feature products selected by our writers that they believe will be of interest to the Newegg Insider audience. These posts do not influence other content we produce, even though Newegg Insider is owned by Newegg.com. Now let’s start saving money! Not happy with your laptop’s hard drive performance? Did the manufacturer cut costs by installing a 5400rpm mechanical drive? If that’s the case, then now’s the perfect time to crack your laptop open and upgrade to a solid state drive. This Mushkin has impressive max read/write speeds of 560 and 515MBps respectively, which will reduce boot and load times significantly. Best of all, this SSD offers the Mushkin Enhanced Data-protection Suite (MEDS), which is designed for data integrity and endurance. Upgrade now, and get 49% off retail. SSDs are great for performance, but the price per GB still can’t compare to a mechanical HDD. So, for those want a good middle-ground between price and performance, this Western Digital Black 500GB HDD is a solid choice. Well-regarded by PC builders around the world for years, the WD Black series is known for its reliability, performance, capacity, and cutting-edge technology. Whether you’re replacing a slow primary drive, or filling a secondary storage bay, you can’t go wrong with this choice, especially at a nifty 13% discount. A Network Attached Storage (NAS) is a fantastic solution for local backup, disaster recovery, and file serving for home and small office requirements. But a NAS’ reliability and performance are limited by the storage drives. That’s why it’s important to choose the right drive for the job. 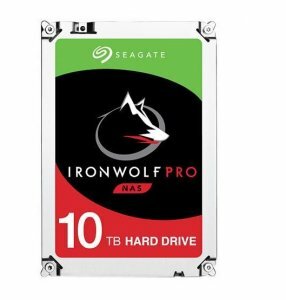 The Seagate IronWolf Pro series was built for NAS, offering services like RAID optimization and vibration mitigation. You’ll also appreciate the speedy 7200 rpm, as opposed to the slower 5400rpm speeds offered by many competing NAS HDDs. Finally, don’t forget the whopping 10TB of storage space for all of your documents, music, and Blu-ray backups. You can pick up this drive for 10% off. Speaking of Blu-ray backups, optical drives have kind of fallen out of vogue, but for specific use cases, they’re indispensable. This BD-ROM by ASUS offers speedy 12X performance for Blu-rays, 16X for DVDs, and 48X for CDs. This is the perfect solution for your home theater PC. And, if you need to burn DVDs or CDs, then you’ll enjoy some nice benefits, like disc encryption, and permanent data erasure for data security you can rely on. Snag this optical drive for a tidy 9% discount. Blu-rays not your thing, but still need to burn your parents’ vacation photos and videos to DVD so that they can share them with loved ones? ASUS has you covered here as well. This 24X DVD-writer makes burning discs an easy three-step process, and does everything with a “Green Focus,” which closes drive applications when not in use, saving over 50% power consumption for users. If you’re looking for an Optical Disc Drive (ODD) that supports a wide variety of DVD standards, then this ASUS DVD-writer is good pick up for 18% off. Everyone wants to feel safe in their home. Unfortunately, not everyone can afford a security system or cloud-based surveillance. However, the appearance of security may be all you need. This fake security camera looks like the real deal, and it can be mounted just like a fully functional camera, except without having to route wires. And, if you choose to install optional AA batteries, then an LED light will warn potential burglars and porch pirates that they’re being recorded. 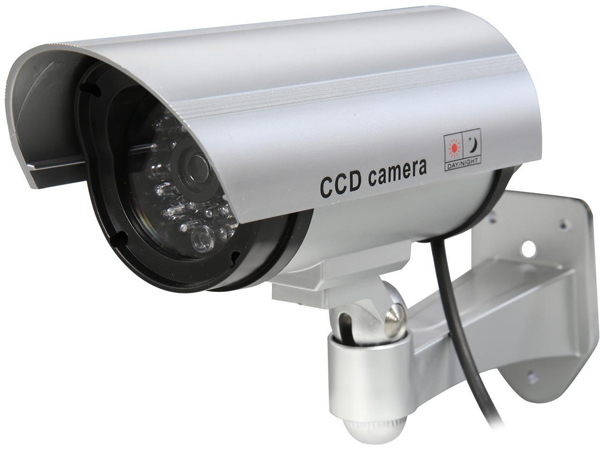 Pick this fake surveillance camera up for 67% off. When it comes to immersive sound, Klipsch is a brand name you can trust to deliver a satisfying experience. These in-ear headphones offer patented contoured ear tips that are anatomically designed to accurately fit inside the human ear canal to help reduce outside noise and keep ear fatigue down to a minimum. As an added bonus, the built-in three-button remote and microphone let you control your music and your calls without missing a beat. At 50% off, this deal sounds really good. Did you know that for over 60 years, JBL has engineered the precise, impressive sound found in big venues around the world? These headphones reproduce that same JBL sound, punching out the bass that’s both deep and powerful. If you get a call while your jam is pumping, then use the attached remote and microphone to answer it. You’ll also appreciate the tangle-free flat cable when you put the headphones away. These headphones are a no-brainer at 39% off. You never realize how important peripheral switches are until you’re working on different computer systems like a laptop and desktop. 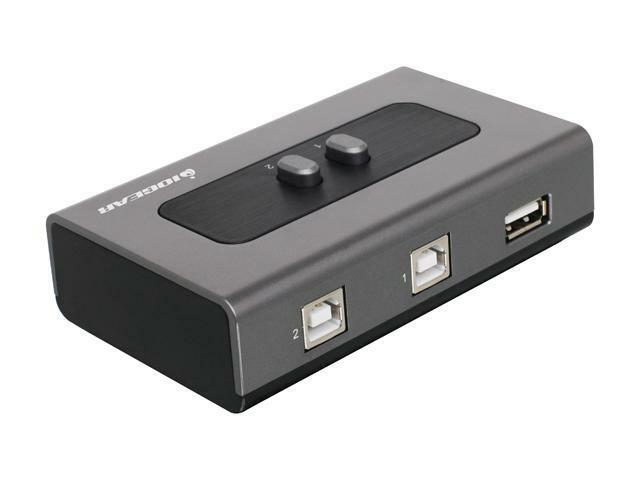 Saving files to USB drives or emailing yourself a document to print out on the PC that’s hooked up to the printer can be a thing of the past with this handy peripheral sharing switch. Simply connect this gadget to both systems, and the peripheral that you want to share. After that, switching between both computers is as simple as pressing a button. At 50% off, this solution is both convenient and cheap! 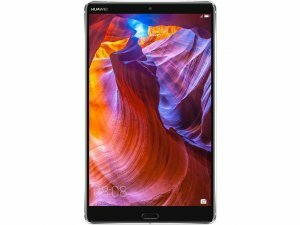 With flagship mobile phone prices rivaling gaming laptops, it’s refreshing to find respectably-spec’d tablets like the Huawei MediaPad M5 at a reasonable price. 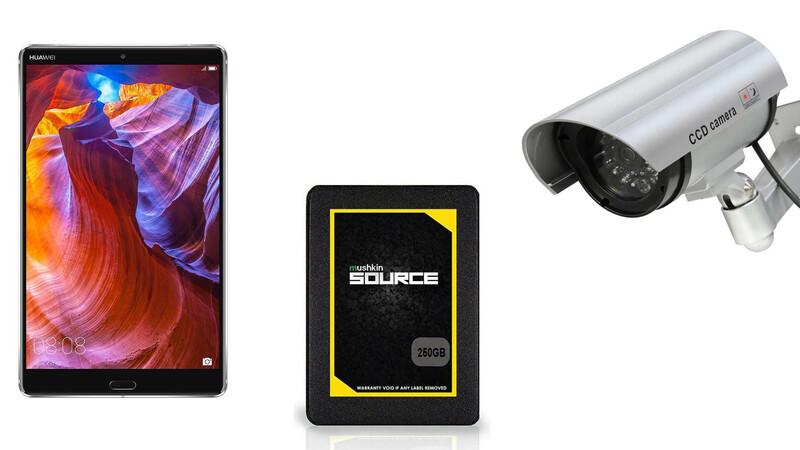 This 8.4” tablet offers a high-resolution 2560×1600 screen, 4GB of memory, and 64GB of flash storage. And with its 5100mAh battery, you’ll enjoy an estimated 11 hours of video playback. The MediaPad is perfect for media consumption, and you can pick this sleek tablet up for 9% off.